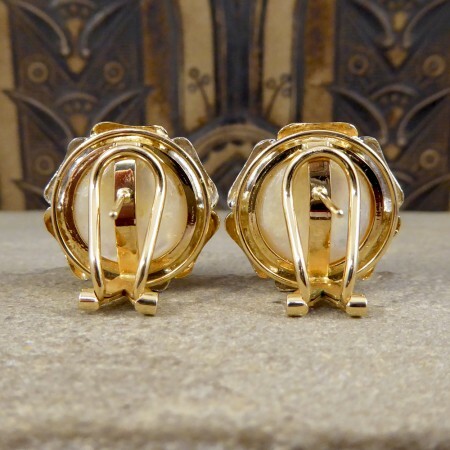 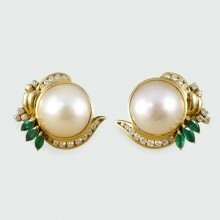 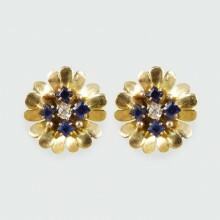 These lovely Vintage earrings are simple yet really pretty crafted from 14k White and Yellow Gold. 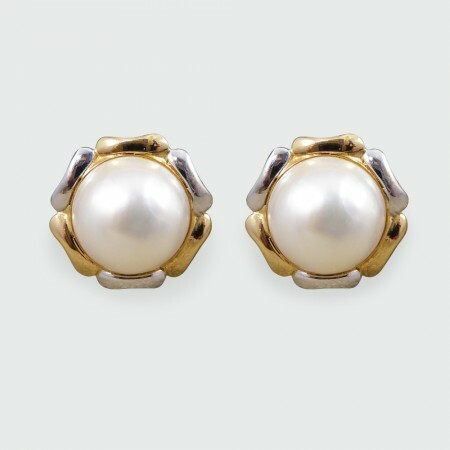 They have an omega clip backs making them secure on the ear and have South Sea Pearls in the centre. 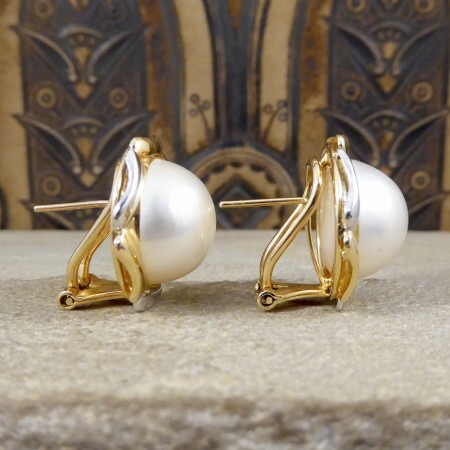 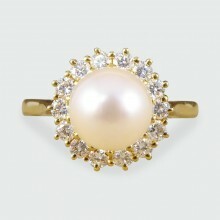 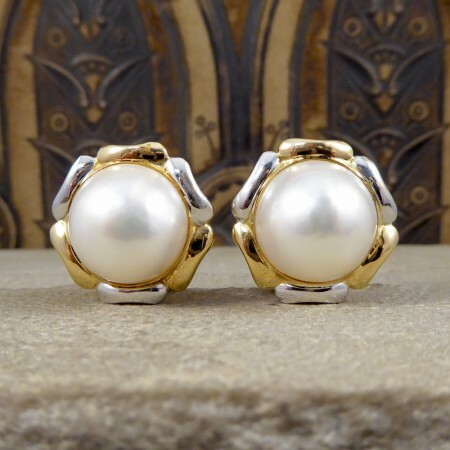 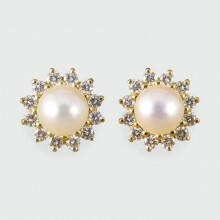 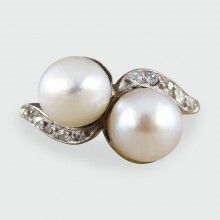 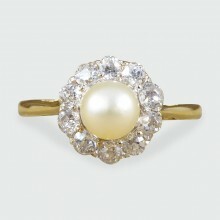 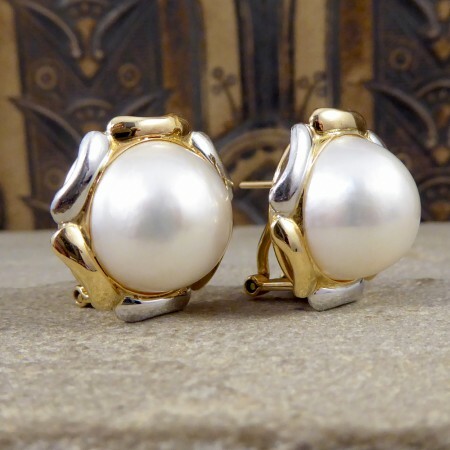 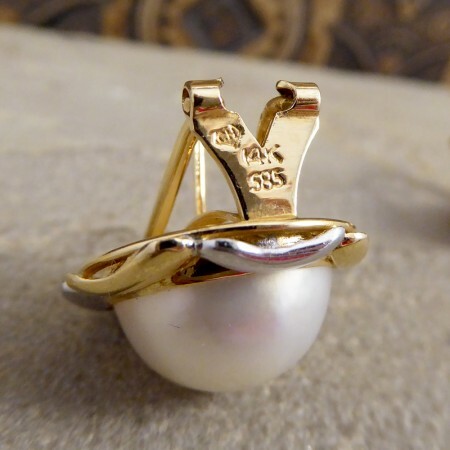 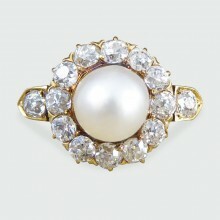 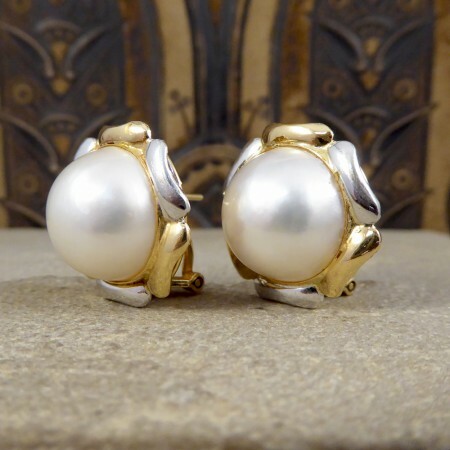 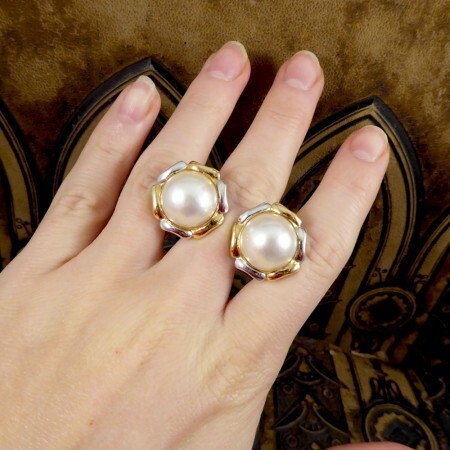 Surrounding the Pearl is a frame of alternating Yellow and White Gold panels, a great vintage piece.